Highcroft Landscapes has been established for nine years (five years as a limited company) The present team have been working together for over six years. Every garden and every job is different and we will always work closely with you to ensure that you are happy and that the work is carried out to a high standard. We all enjoy our work and are fully geared-up for some serious garden building! We can also undertake building works, repairs and building maintenance, so feel free to give us a call if we can help with any project you have in mind. 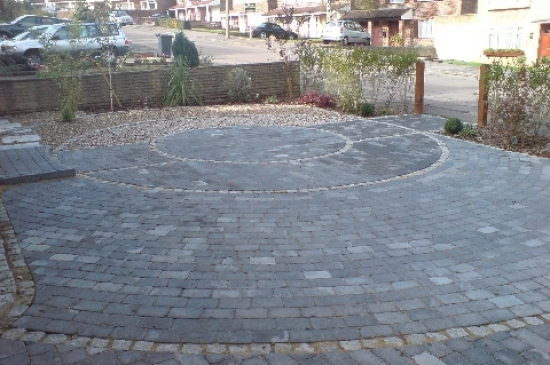 We specialise in garden rebuilds and can provide a complete service from design to construction. Gardens are unique, individual private spaces and should be shaped around your needs and lifestyle. Well executed designs can provide practical, low maintenance areas that you can enjoy all year round. Driveways can be transformed with a couple of well-placed planting areas- I weep at the sight of wall-to- wall block paving! Gardens no longer have to conform to one style or use.